There are a TON of free resources out there for the FE exam. I'm not going to list all of them, but if you feel like I missed some great ones, please let me know and I'll get them posted. Having said that, here are the best free and not-so-free resources to help you pass the FE exam. Let's get started. Also, for any books you get at PPI use the checkout code of CEA15 to get 15% off! Full disclosure: I want to be completely upfront about the resources that are listed here. Most items listed are affiliate links that provide, at no cost to you, a small commission to me for helping you find products that will help you reach your goals of becoming a PE. We are an affiliate with PPI and we are a participant in the Amazon Services LLC Associates Program, an affiliate advertising program designed to provide a means for us to earn fees by linking to Amazon.com and affiliated sites. I work hard to find the best resources for you and I have experience with a lot of the items listed. Please do not spend money on obtaining these books and materials unless it helps you to achieve your goal. That said, let's get to it! Let's start with this book--the FE Reference Handbook. You MUST become familiar with it. It's the ONLY book that you'll have access to while taking the exam. Because the exam is computer-based, this reference book is available alongside of the on-screen exam. It will be electronically searchable, etc. So, it helps to become intimately familiar with it BEFORE it's actually time to take the exam. You should be using this book to solve all of your practice problems. It should be your go-to resource for referencing equations for problems. You can pick up a cheap physical copy or even a free digital copy at the NCEES website. Go and get one NOW. This is the official practice exam developed by NCEES. This is a must for any student studying for the FE exam. I do have some issues with this exam, though. First, it's only 50 questions, not 110 questions like the real exam. Second, you have 2.5 hours to complete it within 6 months of purchase. It's the most realistic exam, obviously, but why only ask 50 questions and give you 2.5 hours to try your hand at it? I'd recommend finding a hard copy of an actual 110-question exam so that you can get a feel for the full FE exam. It's a must-buy, but it's missing some key parts that'll give you the FULL exam feel. I know, this book is old. It's really old for how fast information and these exams change. But let me tell you - this book is awesome! It's a great reference for studying as it explains each section of study. It includes great practice problems, too. I've recommended this reference book to students preparing for the FE exam and they've all told me that it was a great help, even with the current computer-based exam format. It's fairly cheap and it's a great reference material; I highly recommend it. The guys at PPI2PASS have books to prepare any engineer to pass the exams they need, and the FE is no exception. We've got a special deal if you go through PPI. Use the code CEA15 and get 15% off at checkout! 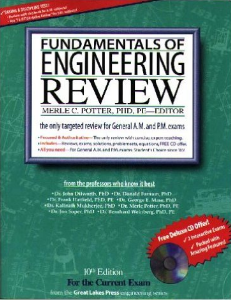 FE Civil Review Manual by Michael Lindeburg is a complete review manual for the FE exam. It's probably THE most popular book out there so I imagine that it's pretty good. Check it out, read the reviews, and give it a shot. I think you'll like it. 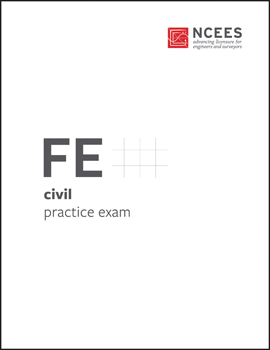 Right along side it is the FE Civil Practice problems book that will help you gain the practice you need to ace the exam.
" 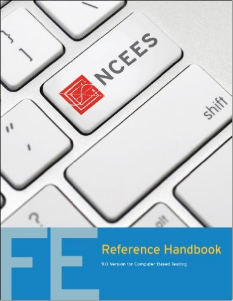 The FE Civil Review Manual offers complete coverage of FE Civil exam knowledge areas and the relevant elements - equations, figures, and tables - from the NCEES FE Reference Handbook. 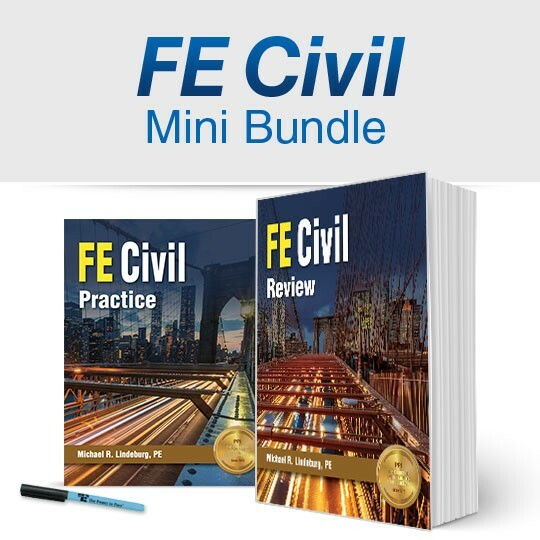 With 16 mini-exams to assess your grasp of the exam's knowledge areas, and concise explanations of thousands of equations and hundreds of figures and tables, the review manual contains everything you need to prepare for the FE civil exam." 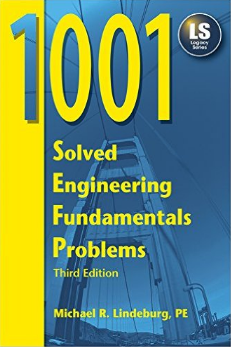 1001 Solved Engineering Fundamental Problems is exactly what it says it is. It's 1001 solved problems. "Here's a wide-ranging collection of practice problems typical of the FE exam in every respect. All exam topics are covered and SI units are used. These multiple-choice questions are conveniently arranged by subject--so you can work through just the areas where you need practice, or all 1001 problems. A full, step-by-step solution is provided for each problem." If you purchase through PPI2PASS use the code CEA15 and you'll receive 15% off the book! Below are various links to YouTube Playlists that will give you a great review for the FE. If the material I gathered for you above doesn't cut it, then check out everything we have below, too! The old spec from NCEES used to include some electronics and other areas that are not found on the civil FE anymore. You might run into a couple of lectures on those, but for the most part this is excellent stuff. Check it out below. YouTube has a TON of videos on the FE and preparing for it. Sam Mineer has compiled a great review course that is composed of videos found all throughout YouTube's site. This contains over 31 hours of video to help you. This playlist is pretty good. They cover individual topics so you can see how to solve problems quickly. No real lecture, just great problem solving. Sam Mineer borrowed some from this list. This should really be the first videos you should be watching. This covers everything to deal with the exam and how it is administered, taken, etc. Check out the NCEES playlist to make sure you understand what you are getting into. Bagley College has a great YouTube series on the FE. I thought it was very helpful and they even offer material for other disciplines like mechanical engineering. Check them out!